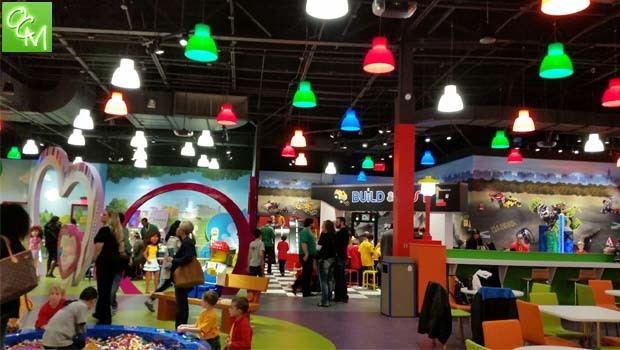 LEGOLAND Discovery Center Michigan Coupon – 40% off of admission at LEGOLAND Michigan at Great Lakes Crossing in Auburn Hills, MI! This coupon is courtesy of Oakland County Moms & our friends at Merlin Entertainments, the fine folks that bring you the awesome LEGOLAND Discovery Center Michigan attraction AND Sea Life Michigan attraction! This is a special offer for Oakland County Moms Readers and it’s so easy to redeem. To redeem, simply use THIS LINK to purchase your tickets online. The link automatically builds in the Oakland County Moms Promo Code (OCM19) so all you have to do is select the # of tickets for your 40% off tickets deal! 40% Off General Admission – Booking online is the only way to guarantee entry – tickets are limited! Children 2 and under visit Free. Online tickets are non-refundable. This ticket cannot be combined with any other offer or promotion. Please remember to bring your coupon with you to the attraction. One coupon is required per discounted ticket.